Kermit was right. 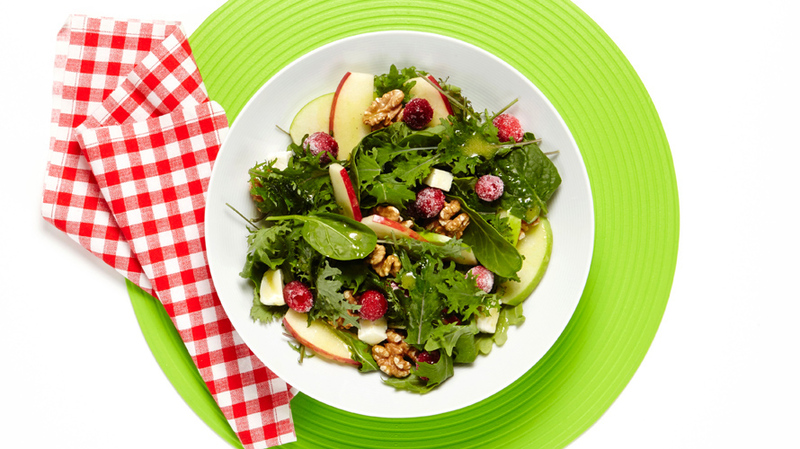 It's not easy being green. And it's definitely not always easy trying to get kids and carnivores to eat their veggies. "Eat your vegetables" is one of many phrases we vowed we'd never say as moms. But we were wrong. So when I caught myself repeating it on a loop, I turned to my dear sister Lisa for help. She gave them a masterful makeover, elevating them from dull to drool-worthy. 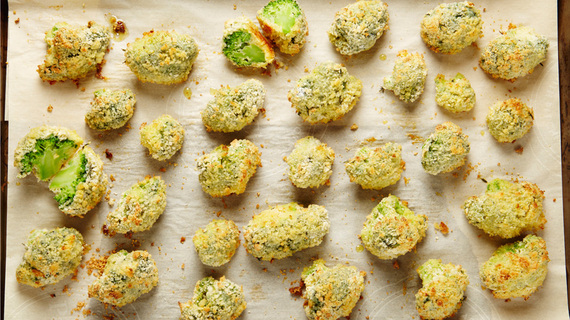 I can't understand anyone who doesn't eat broccoli by the bushel. The wee green tree is a "miracle food," extolled for its anti-cancer, anti-inflammatory, antioxidant virtues. So, how do we best treat this crowned king-of-all-vegetables? Majestically. First, it takes a lovely plunge in a pot of boiling water. Next, it gets outfitted with a zesty Parmesan, panko and thyme coating. 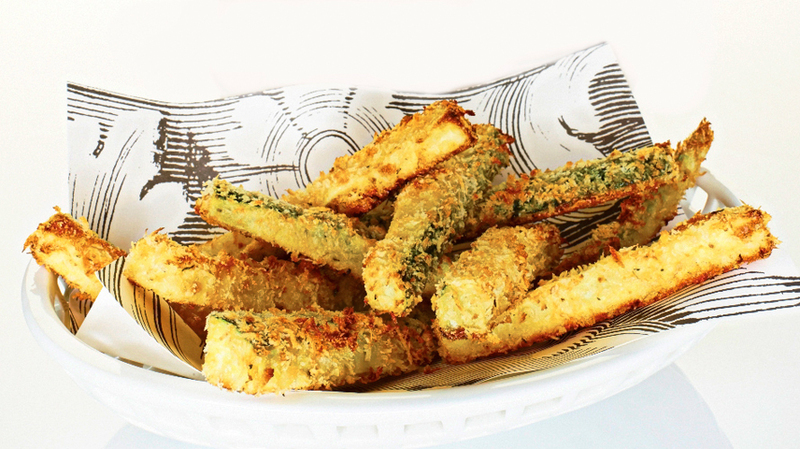 After a short stint in a sweltering oven, the crisp, tempura-style florets are dunked in a creamy lemon dip for a splendid finish. Now, if only this noble cruciferous vegetable could do something about my crow's feet, I'd be set. I love it when I can describe a vegetable as tasting like crème brûlée. This dish, also known as nasu dengaku in Japanese restaurants, is eggplant transformed into a melty, creamy, sweet and salty treat. 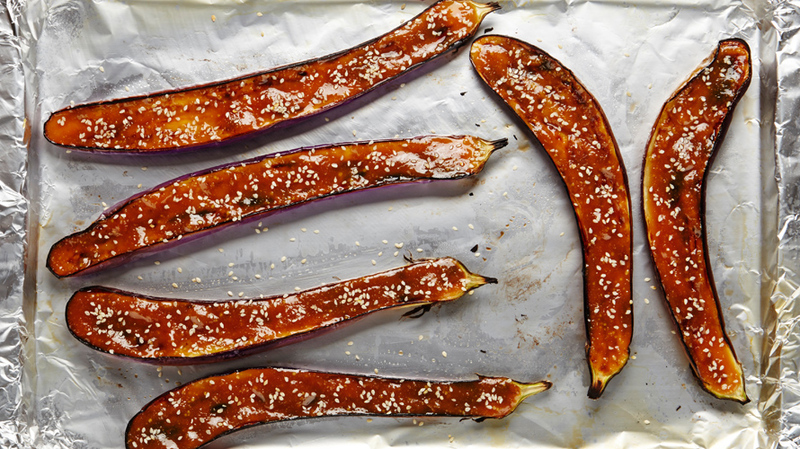 Long, narrow and glossy deep purple Japanese eggplants, with their delicate flavor and thin skin, lend themselves perfectly to being baked. Once tender, the flesh is topped with a nutty-tasting miso mixture and broiled until caramelized and bubbly. 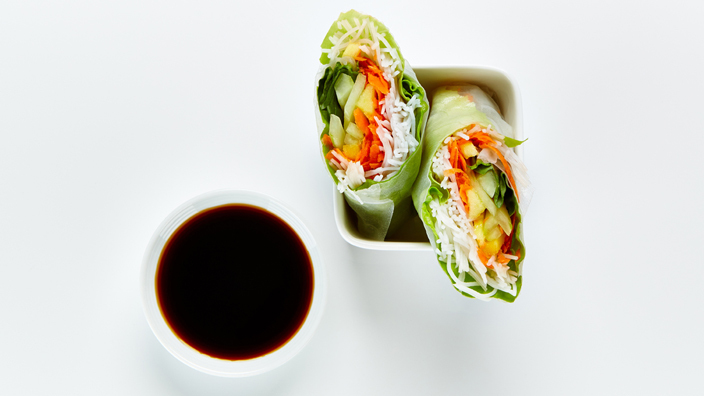 Whether using chopsticks or a dessert spoon to scoop it out, you're going to love this melt-in-your-mouth velvety vegetable. We've never met a pizza we didn't like (New York or Chicago or Sicilian style!) 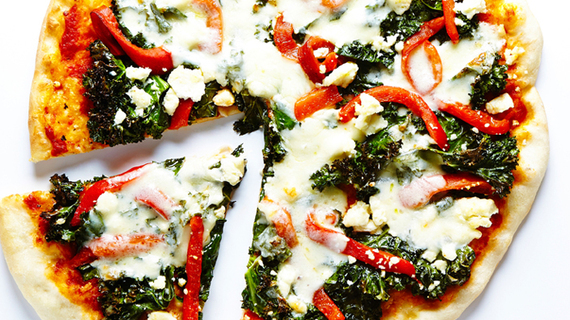 but we rarely find one we love as much as this homemade Kale and Roasted Red Pepper Pizza. Simple to make (really, don't be intimidated), a crispy thin crust is topped with gooey mozzarella, tangy feta, sautéed kale and roasted red peppers. 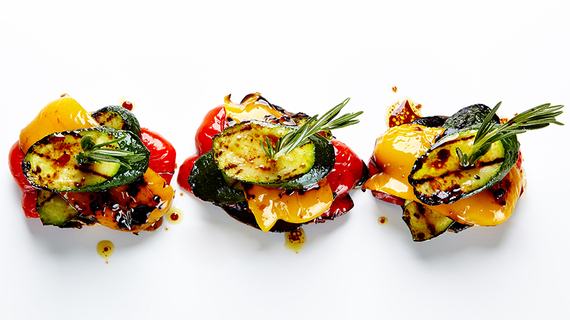 Make this and you'll never eat pizza from a box again! Get ready to stuff your face with these healthy, delicious and vegetarian Couscous & Herb Stuffed Peppers. 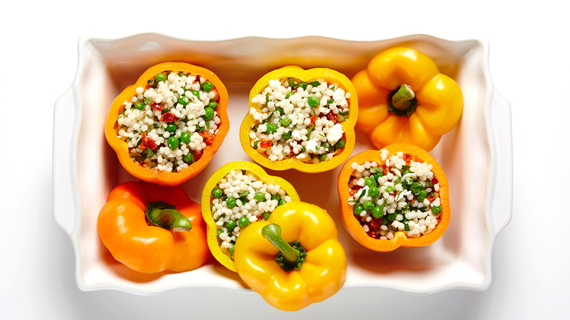 Filled to the top with tender couscous, tangy Feta cheese, savory sun-dried tomatoes and fresh herbs, this meal-in-a-pepper is a perfect midweek meal! 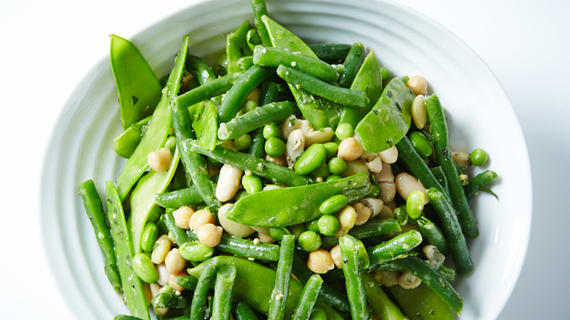 How do you make your family beg for veggies? Simply bake up these Parmesan-Crusted Asparagus, green stalks coated in a cheesy breadcrumb mixture and baked to a golden crisp. 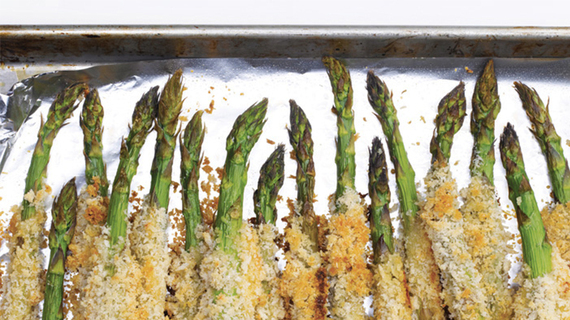 These addictive spears aren't only a family favorite, they're also the perfect company-is-coming side dish that can be assembled in advance and popped in the oven 15 minutes before dinnertime. When we say "raw broccoli salad," we're often met with looks of skepticism. 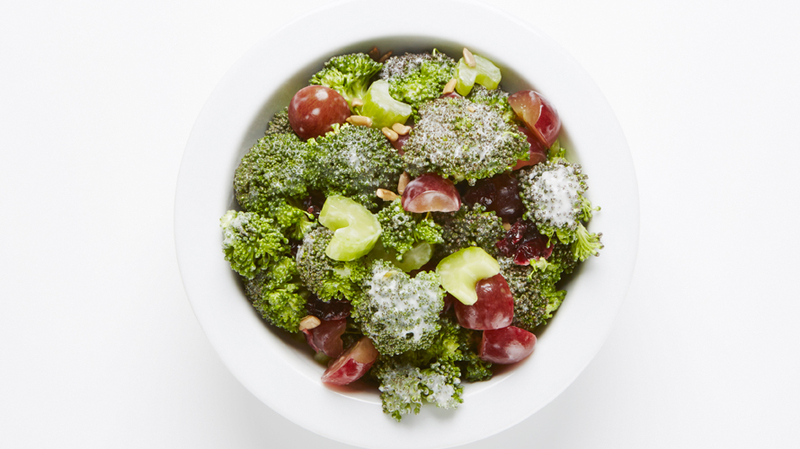 But, one bite of this juicy grape, tart cranberry and fresh broccoli salad -- creamy, crispy, sweet, sour and salty -- is all it takes to make believers even out of the biggest salad cynic!